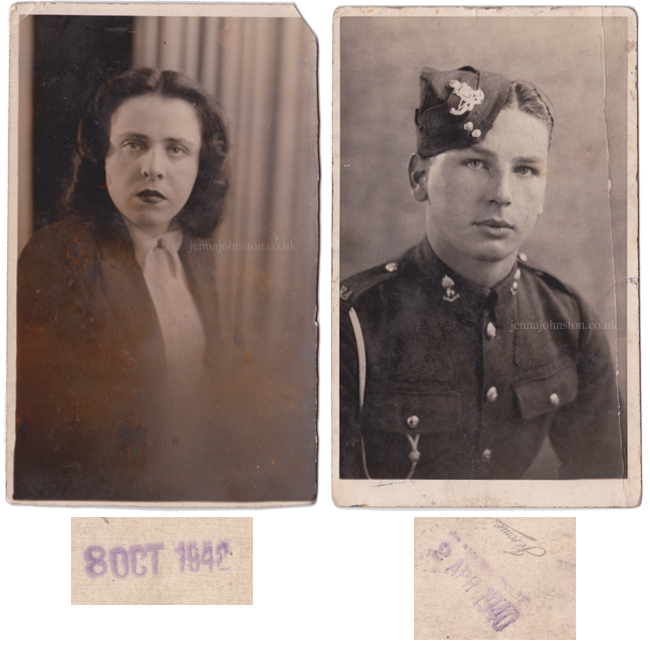 My nan recently attended a funeral of her aunt where she was handed an envelope full of photographs of her parents; my great-grandparents. With Bobby dying before I was born, and Janey when I was still young, I've always loved looking at photographs of them - which is probably helped along by the fact that they were absolute beauts! My nan passed the pictures to me for a while so that I could scan them, clean them up, and email them to her brothers and sisters. I was going to post the cleaned-up version on my blog, but I think I prefer them looking slightly dishevelled. I was also delighted to realise that they had the date stamped on the back! How cool is that? So, essentially, I just waned to share these lovely photographs of my extraordinarily photogenic grandparents so that you can all be jealous of my gene pool.